Santiago Nieto, the new head of the finance ministry's Financial Intelligence Unit, told Reuters on Thursday he had filed a complaint against three businesses and seven people linked to the Jalisco New Generation Cartel. On Wednesday, the finance ministry had said Nieto's unit filed its first complaint with prosecutors, but provided no details. The move against the Jalisco cartel, a relative newcomer that has risen to become one of Mexico's most dangerous criminal gangs, sends a 'first message' under Lopez Obrador, who took office Saturday, of his government's determination to crack down on drug gang finances, Nieto said. "I am convinced the best way to prevent criminal behavior is by sending a message that these types of acts that violate trust and social norms will be punished," he said in a telephone interview. Mexico's drug war has raged for over a decade despite the capture of kingpins such as Joaquin 'El Chapo' Guzman. Although cartels have splintered, the flow of drugs north has continued unabated, while violence in Mexico has hit record levels. In a statement, the U.S. embassy in Mexico said it welcomed increased collaboration with the Mexican government "on these critical issues, with the goal of improving security and stability on both sides of the border." "Investigating and prosecuting the illicit financial flows of transnational criminal organizations are key steps toward ultimately dismantling them," it said. Nieto said he was able to quickly file his complaints with prosecutors because the businesses and people they targeted already appeared on the U.S. Treasury's Office of Foreign Assets Control (OFAC) so-called blacklist of drug traffickers. Complaints from the Financial Intelligence Unit generally include sufficient evidence to prompt prosecutors to open criminal investigations. 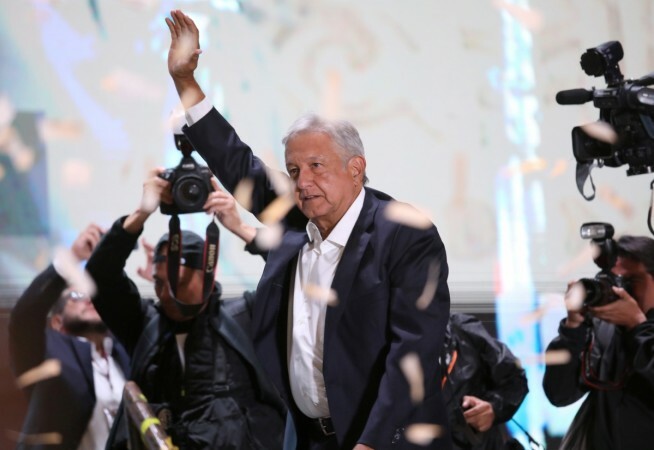 Leftist Lopez Obrador, who has pledged to fight corruption, has repeatedly stressed that he wants good relations with the United States, Mexico's neighbor and top trade partner. To improve prosecutions, Lopez Obrador will need to overhaul the attorney general's office (PGR), which has been criticized for failing to punish money launderers by the Financial Action Task Force (FATF), a global organization that sets standards for fighting illicit finance. "A lack of intelligence is not the issue. The problem is how do you transform that intelligence into evidence you can bring to a court of law," said Alejandro Hope, an analyst who worked for Mexico's national security intelligence agency, "We will see if the problems remain at PGR or not." A FATF report this year pointed to a declining rate of already-low prosecutions based on data from the intelligence unit. Nieto said action by authorities slowed further in 2018 as previous president Enrique Pena Nieto's administration concluded. The number of complaints from the unit declined and only three of them led to charges this year, he said. The new government would focus on filing more criminal complaints, freezing more bank accounts and seizing more goods and valuables from wrongdoers, Nieto added. He said the government would make a top priority of targeting the gangs and gas stations involved in rampant fuel theft. Lopez Obrador this week said he would soon unveil a plan to tackle fuel theft, which has become one of Mexico's most pressing economic and security dilemmas.